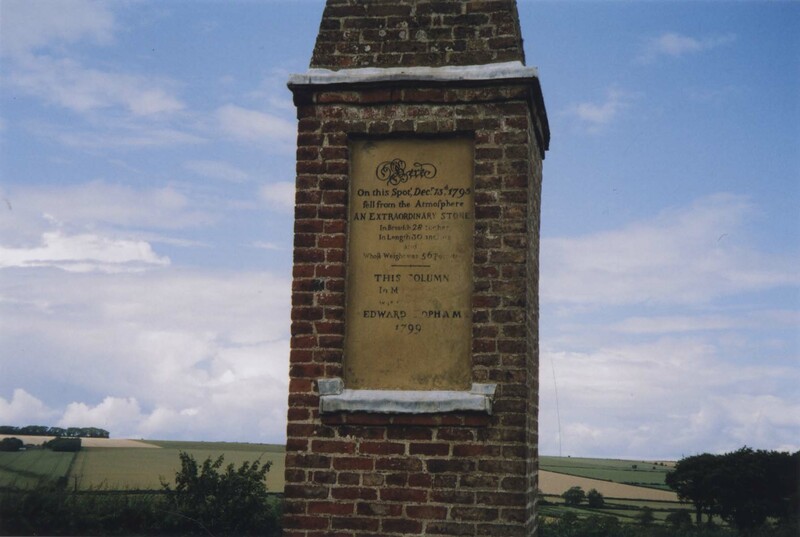 This was one of the first sites photographed for the project (on 7 July 2007). I had agreed to speak at a conference in York called ‘Real Things’, and decided to go in the car so that I could also visit Glaisdale in north Yorkshire, where the village hall is called the Robinson Institute. I looked for other ways to justify this use of the vehicle, one of which was to visit the site of the meteorite fall at Wold Newton, a few miles inland from Filey. The Wold Cottage meteorite is preserved in the Natural History Museum. Its fall was witnessed by many people, and established that meteorites really do fall from the sky, belief in this having been dismissed earlier as superstition. There are only 43 records of meteorite falls and finds in the UK in the Natural History Museum’s database, many of them doubtful. There are perhaps more meteorites or meteorite-like objects in the UK’s science fiction, including those in Nigel Kneale’s Quatermass II (see http://www.screenonline.org.uk/tv/id/441212/index.html) stone containers for an alien life-form that takes over the bodies of its human hosts (see also Invasion of the Bodysnatchers, which Quatermass II is said to have influenced). Professor Bernard Quatermass’s rocket research in Quatermass II is directed toward space exploration, not weaponry, but it seems very likely that the location of its base near Carlisle was suggested partly by RAF Spadeadam, the isolated facility built to test the rocket motors for the Blue Streak missile, cancelled in 1958, near which I have so far located the disappearance of the fictional Robinson shortly after the end of the narrative of Robinson in Space. I thought initially of the monument merely suggesting similar extra-terrestrial themes, but not long afterwards, encountered a website http://www.marxists.org/archive/marx/works/1841/dr-theses/index.htm which offers a translation of Marx’s doctoral dissertation ‘The Difference Between the Democritean and Epicurean Philosophy of Nature, with an Appendix’. In Chapter 5 of Part 2 of this, ‘The Meteors’, Epicurus is said to find that ‘in the meteors everything occurs in a multiple and unregulated way, that everything in them is to be explained by a manifold of indefinitely many causes’, and ‘ascribes to them […] all the anxiety and confusion of men’. 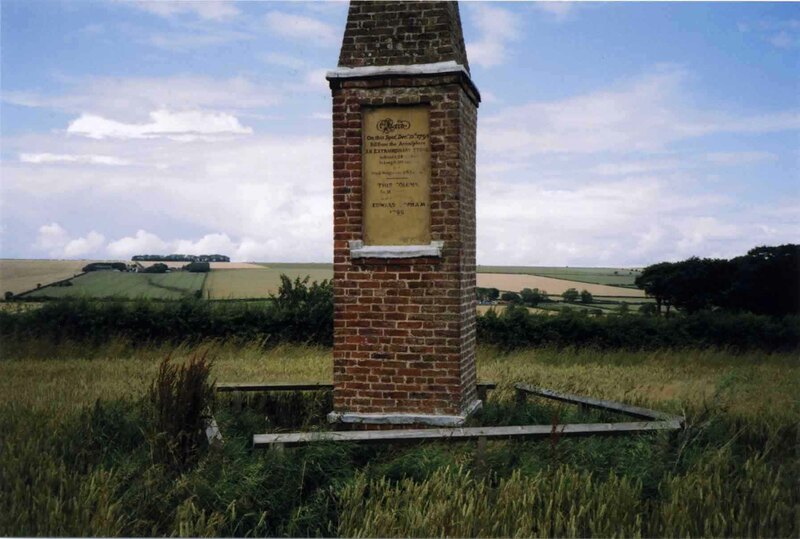 The meteorite fell in 1795, the year in which the 1662 Settlement Act was amended ‘in the interest of freeing hands to go where burgeoning capitalist enterprise needed them most’ (John Torpey: ‘The Invention of the Passport’) prompting the Berkshire magistrates who met in the Pelican Inn in Speenhamland, near Newbury, to implement what became known as the Speenhamland system of poor relief. One could imagine the meteorite signalling these initiatives, or even (if one ignores that it fell in December, whereas the magistrates had met in May) that in some unknown way its fall introduced increased labour mobility to England. Whose Weight was 56 Pounds. cant wait to see the il on saturday!